Konrad is one of our 2017-18 educational ambassadors; he teaches in Taishun No.2 Experimental Primary School in Zhejiang Province. Taishun is a little remote of a place. Tucked away in the mountains three hours southwest from the city of Wenzhou. There are many tunnels and winding roads that traverse higher in elevation from the coastal city of Cangnan inland towards Taishun’s main country-town, Luoyang. There, the pace of life is much slower than that of China’s emerging megacities. Many of the people who work in the countryside work in agriculture, government or, in recent years, ecotourism. 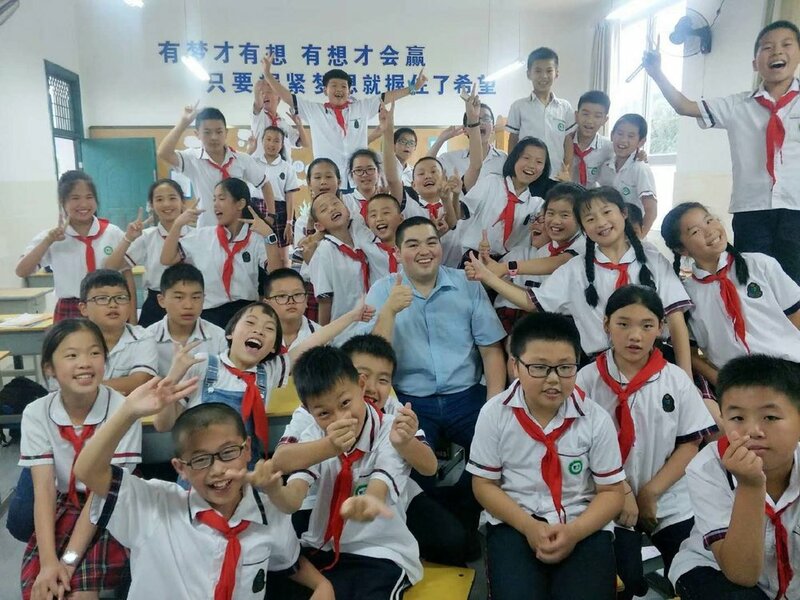 I came to the county through a cultural exchange and teaching program called, “Ambassador Year in China.” The idea of the program is to bring foreign English teachers to China’s countryside, where foreigners are few and far between. Being out in this part of the country, allowed me to see a landscape blurred somewhere in the past and present. Farmers used smartphones and posh cars are parked beside traditional farm-style-houses. It seemed as if aspects of development were sprouting up and entangling itself like dandelions do when unwinding out of roadside cracks. The old and traditional complimentary standing beside the appliances and aspirations of an ever well-to-do and money-focused emerging middle-class. Taishun is a place that despite its remoteness and countryside feel is steadily growing and reproducing similar structures to the development seen across the country. Tall apartment buildings with roman pillars, European facades, flat screen TVs, big refrigerators, and bubble tea shops blasting pop music out onto the street. In my ten months in Taishun, I only came across two other foreigners while hiking. Most people there are locals or restaurant owners from Fujian province. Whether walking into a wet market nearby my school or a family owned restaurant, almost everyone I spoke with was in Chinese. And although aspects of this new environment such as the language barrier, cultural differences and remoteness of the place presented unique challenges, all of these seemed trivial in comparison to the task of teaching third-graders. 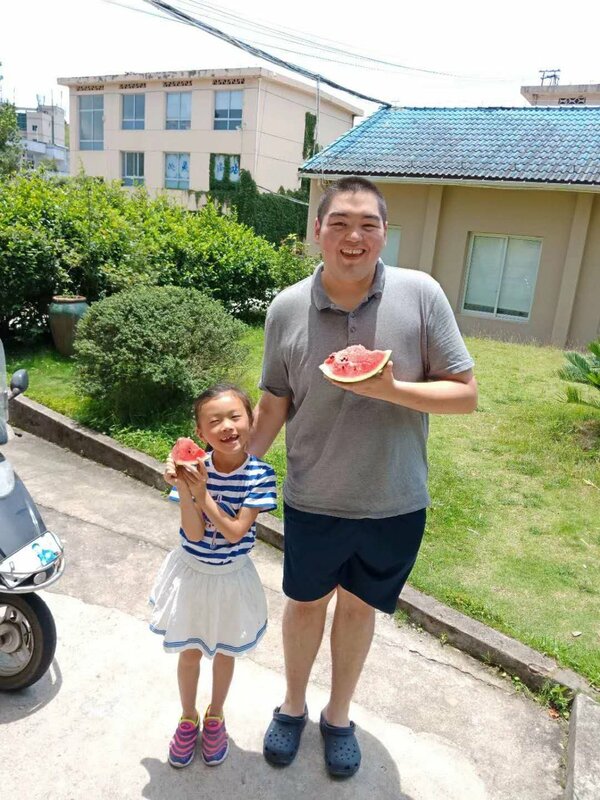 For the first two weeks of teaching I had another English teacher and Taishun local whose presence helped keep the kids at bay. Though by the third week when she felt I was good enough to handle the third-grade classes by myself, I quickly began to notice a string of behavioral problems unfold. There was chatter and throwing of paper, toys, and miscellaneous objects. A boy would stand up laughing or yelling and capture the whole class' attention away from me. Rowdiness would then spread like wild fire. On top of that, back then it was harder for me to tell the kids to stop as both my Chinese language and teaching skills were low. Reorienting these youngsters back to the front class was harder than I had imagined. That first semester was a struggle. I felt like I was testing the waters and often didn’t know if my lessons had hit the mark or landed way off. My classes were not as varied or structured as I would in hindsight have wanted and my third graders seemed bored and inattentive. I knew teaching was going to be hard, but not how much it can take away from you both in time and emotionally. My classes seemed to inch along at a snail’s pace while time was expended away from the lesson towards classroom management problems. It was during the month of Chinese New Years after that challenging first semester that got me reflecting on my teaching. While I rested, I felt a strong determination to find new approaches and do better for what came ahead. In that following semester I did improve. I was able to walk out of more classes feeling genuinely accomplished and I could sense that the students were engaged. My second schedule semester was also quite different, the school had asked if I wanted to teach every fourth, fifth, and sixth-grade class an English conversational class per week. Before that, I had been teaching three third-grade classes consecutively throughout the week. With the new schedule, however, I saw more classes but each with less frequency. This experience gave me more time to prepare lessons in advance and experiment their effectiveness. Having a bigger sample size, you can enact the same lesson many times and see how receptive students are to it. Unlike the first semester where I was teaching from a textbook and the students had daily assignments in their workbooks, all the materials and lessons had to be built from scratch. This took more time but resulted in better lessons. Later that spring I had an opportunity to give an open lesson at an elementary school of forty kids! I spent over a month preparing that lesson and switched the lesson theme three times, and even though afterwards I kept on thinking of ways to tinker it the observing teachers congratulated and reminded me that I had done a good job. It was ultimately by seeing the progress made from improving lesson plans that I began to feel more confident in teaching. Classes are not homogeneous; each has unique personalities and presents different opportunities. For example, I had a fifth-grade class whose ability to work synchronously in groups, stay engaged, and support one another was outstanding. This class really enjoyed group work and presenting skits. Another class, on the other hand, did not like presentations or group work as much. Later on I learned from another teacher that this class was scoring the lowest in English and seemed to lack confidence in it. For most of that semester I tried using the same style of lesson plans to no avail and felt both frustrated and confused about how to improve the situation. Then in the last weeks as finals and summer break were approaching, I made more individualized and pair assignments and had them to spend most of the time working on grammar, vocabulary, and translation. I soon noticed the students were more receptive to these kinds of activities as it was closer to their level. The students who were more analytical and quieter also enjoyed this. To my joy I saw students collaborate on solving problems. I realized in that second semester that it is important, as a teacher, to find activities that attune to the interests of particular class. Another key aspect to teaching is composure. At times, I would made the mistake of on some days being too strict and at other times letting things go. Thus my personality as teacher appeared to my students as unbalanced. On one day I could feel inclined to try to continuously stamp out rowdy behavior wherever it would pop up. But my mistake and what I regret was in expressing frustration. Scolding students is counterproductive and often fans the flames of more behavioral issues in class. One time when I was talking about teaching with a teacher, she told me that even though teaching grade school can be stressful at times, we must keep in mind as teachers not to get mad at your students. Take two “talkers” and give them the opportunity to chime in on something related to the lesson. Direct their energy in a constructive way, such as in acting a skit or reading a dialogue. Let them head a classroom game. Offer ways for your student's personalities to find expression and you will have a much more engaged classroom. I found that in being compassionate towards and creative with students, we were able to accomplish more rather than if I had attempted to restrict their inherent and youthful energy. Build rapport with your class and you will often find that they already know how to self-regulate themselves. Students who care about your class will tell the one’s making distractions to quiet down. As a teacher, one sifts through a river bed of personalities and each class is different. It is a creative, communicative, and responsive endeavor. Be prepared to continuously work and learn your way into this role.